Lang Lang and Chopin have long been a winning combination, with the 2012 release of 'The Chopin Album' being his most successful Sony album to date. Already celebrated worldwide for his Chopin interpretation, Lang Lang selects the four virtuosic and well known 'Scherzi' to display his interpretative ability and renowned technical command. 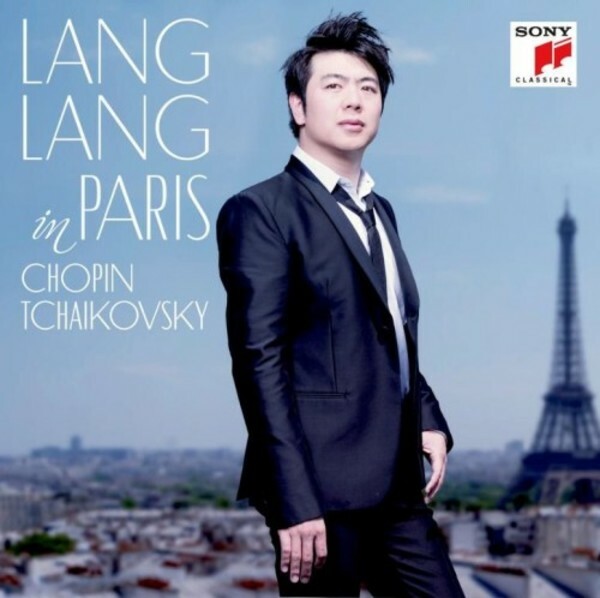 This new release, 'Lang Lang in Paris', also champions the rarer Tchaikovsky 'Seasons'. Tchaikovsky has also featured prominently in Lang Lang�s career - most notably in his international breakthrough at age 17 performing Tchaikovsky�s first piano concerto at Ravinia�s 'Gala of the Century' with the Chicago Symphony Orchestra. Having performed this recital programme all over the world, Lang Lang felt it was the right time for him to record it in Paris � a city he loves and feels at home in. This deluxe version of the album includes a bonus DVD featuring excerpts from a private recital given by Lang Lang in the Palace of Versailles' Hall of Mirrors. It had been Lang Lang�s life-long dream to perform in Versailles� Hall of Mirrors, which led to a special recital there in July 2015, and the studio recording of the album in Paris. - Excerpts from a private recital given by Lang Lang in the Palace of Versailles' Hall of Mirrors.